23.07.2016. John Wurdeman studied music and art before becoming a winemaker in the country of Georgia. His winery, Pheasant's Tears, has revived an 8,000-year-old Georgian winemaking tradition. He tells Melissa Clark what brought him there, the myriad varieties of Georgian wines, and the integral part they play in that country's meals. Melissa Clark: How did this all start for you? John Wurdeman: I'm a visual artist, a painter by profession. I fell deeply in love with Georgia when I heard a recording when I was sixteen years old. I bought a CD called Georgian Folk Music Today. Immediately, the chords of the music just struck me very deeply. In 1995, I was able to go to Georgia for the first time. Strangely enough, on the very first night, I was whisked away from the airport and taken to a restaurant. About 10-15 toasts deep into the feast, musicians were summoned to come in, and they were the same musicians that were on the CD I bought when I was 16, back in Richmond, Virginia. MC: That's amazing. And how did you go from there to making wine? JW: I came back in 1996. I needed a subject for my final painting. My master's project that I was working on was in Moscow, so I decided to follow the grape harvest. I went to Kakheti, which is the eastern part of Georgia where 90% of the country’s wine is made. I visited different families and did a lot of sketches of how they were collecting the grapes and the feast that happened afterwards. The Georgian feast was very curious to me, because it seemed to unite multiple generations around one table, all with poetry, ancient polyphonic songs, wine, incredible traditions. That's how I first was introduced to wine. And then in 2006 everything changed. MC: What happened in 2006? JW: I was painting in a vineyard, and it was a very hot, kind of dusty, late August day. A man drove by in a tractor and called out to me and said, "John! I know who you are. You don't know who I am, but you have to come to my house for dinner tonight." This man was Gela Patalishvili, who's currently my partner at Pheasant's Tears. He had a vision. He said too many wines were leaving Georgia that don't speak Georgian. 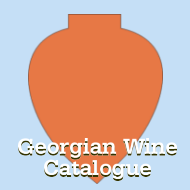 Georgia has 525 indigenous varieties and an 8,000-year-old tradition of making wine in clay pots called qvevri. 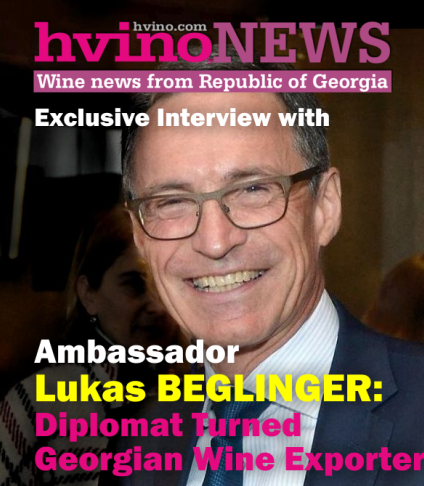 In Gela’s opinion, Georgia didn't need to imitate the tendencies that were happening on the world market in wine; Georgia just needed to be honestly itself. And in that, someone would find value. 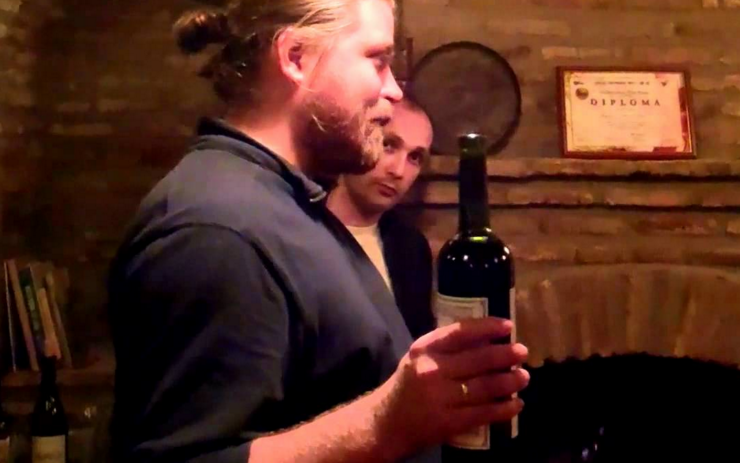 So, he invited me, and we joined hands in 2006 to launch Pheasant's Tears. That's how it all began. The idea was simple. 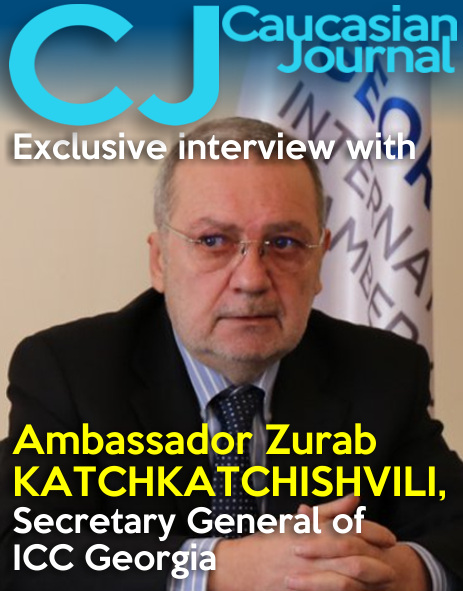 We would use the old method of the qvevri, use only indigenous Georgian varieties, and all the grapes would be farmed organically. MC: So tell me about the qvevri. JW: It's a terra cotta vessel, kind of egg-shaped. But the main difference between qvevri and say, Spanish or Portuguese tinaja or Greek pithos or Italian amphora, is that it's buried entirely underground. Qvevri means “that which is buried below.” You're harnessing the thermal temperature of the earth for the formation of the wine. MC: What do the wines taste like? I know there's a lot of different Georgian wines, but what are some of the things you love about Georgian wines? JW: Strangely enough, it's a very difficult question, because even though Georgia is only the size of West Virginia, the diversity in range and flavor of Georgian wine is almost bigger than any other wine country I know. You have many different climates: You have the tropical coast on the Black Sea, there's highland, alpine regions. There are mountains everywhere. You have sandstone in the east, slate in the north. You have clay over lime rock in the west, plus many different altitudes to 525 different varieties. The texture, flavor, and aroma of Georgian wine is like a rainbow. There's a huge amount of variety. 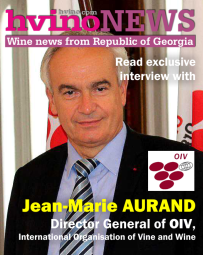 In general, we could say the most strikingly exotic wines from Georgia are the so-called "orange" wines. We prefer to call them amber wines. It's when you use white grape and throw the whole grape together - skin, stem, pips, everything, into the qvevri, and you leave it when it's fermenting, and onwards with the skins and the stems. The Georgians call this "leaving the wine with its mother." It derives all kinds of phenolic structure, deep color, incredible depth in terms of layers. A lot of people are kind of shocked when they see a white wine that has tannin in body, more like red wine. But that's the most popular wine in Georgia, and it works perfectly with our food. 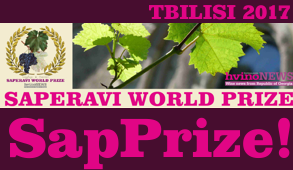 MC: Georgian wine has a particular place in Georgian culture that's bigger than just drinking wine with dinner. Can you talk about that? 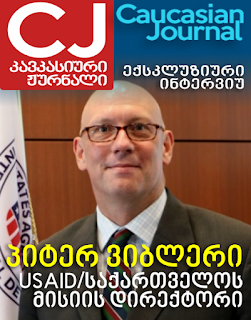 JW: Georgians don't have any culture of drinking without eating, so all the wines are raised in order to be friendly with food. The way Georgians eat, there are many different dishes at once, which is part of the reason the orange wine works so well. It can go with salads, wild herbs, and seafood, but it has a skeleton in structure that can go with meat roasted over an open fire. It's not just about food and wine, there's an elected tamada - toast master, who leads the guest around the table, offering varying toasts. The toasts are the main themes in life that matter most to all of us. Toast to family, to nature, to our beliefs. There are toasts in memory of people that have passed away, to our ancestors, to the continuation of life, to a bountiful harvest. And when the tamada throws out a certain theme, everyone around the table is supposed to share their ideas or thoughts on that theme. MC: So it becomes more than just dinner and wine, it becomes this philosophical conversation. JW: Yeah! It's like the Greek symposium, basically. There are incredibly intricate polyphonic songs that people spontaneously start to sing. There's poetry. It's almost like a mirror, like you're forced to look at yourself. You can't hide anywhere, because you need to speak about your feelings for your mother, your feelings for your children, why you love your wife. It's really interesting, because in the Western culture, we've been taught that there are certain things that are no one's business, that we keep for ourselves, and we have this little bit of an icy shell. There, it all melts.